Hello, my lovely friends! I hope you’re hungry because I’ve got a lip-smacking, mouthwatering recipe to share. We’re talking about lamb tagine today. We’re also talking about marvelous Merlot, some quick tips for a fun and scary movie/game night, and how it all ties together so well. I am very, very excited about this! Let’s get to it. Tagine is both a North African cooking pot (with a circular base and a cone-shaped cover) and a rich, complex stew that includes savory and sweet ingredients. If you don’t have the proper tagine cookware, a Dutch oven can also be used and it will work perfectly (hint: it’s what I use)! With fall being back, lamb tagine is a great and delicious way to feel all warm and cozy. You know what else is great in the fall? Red wine. And you know what’s back now that it is fall? Red wine is back. Particularly, Merlot is back! This is all especially fitting because October is International Merlot Month. 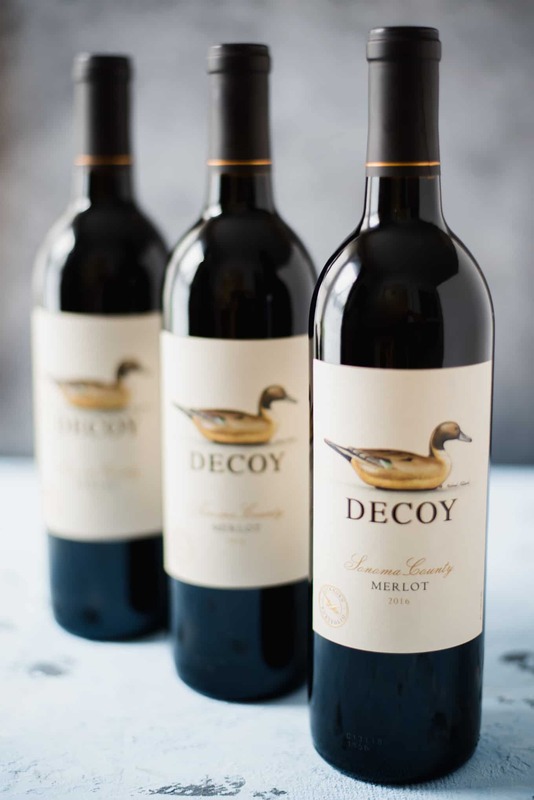 Over 100 Merlot producers around the globe participate in this world-wide event and I partnered with Decoy to get the tasty word out. You too can participate in International Merlot Month by using the hashtag #MerlotMe on your favorite social channels! 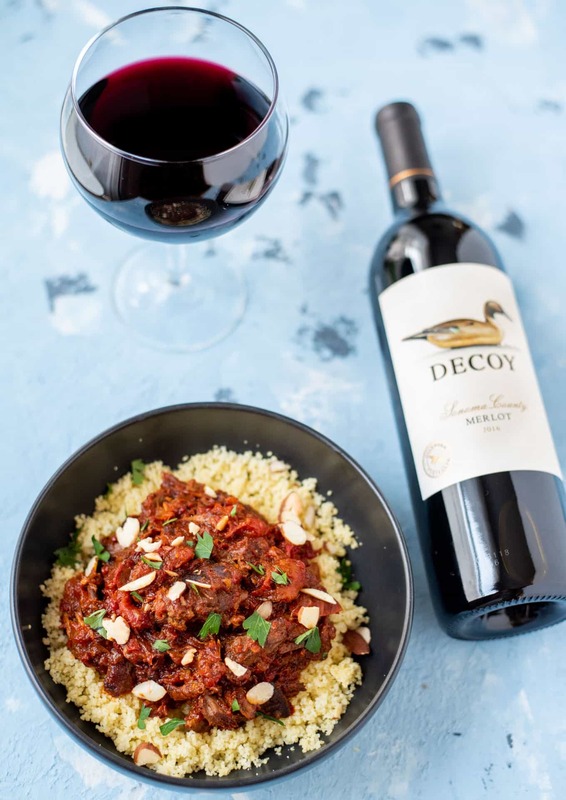 Here’s a great fun fact: lamb tagine and Merlot pair together so wonderfully, I daresay it’s a perfect pairing. And here’s why. The tagine is full of complex flavors, including warm spices such as cinnamon, ginger, pepper, and nutmeg. There’s a little bit of sweetness added from dried apricots and saffron and richness from plum tomatoes and tomato paste. All of this combined complements the fruitful and concentrated flavor of the Merlot (and vice versa)….